Featured on ABC Classic FM’s Australian Music Collection, Drift Theory 02. 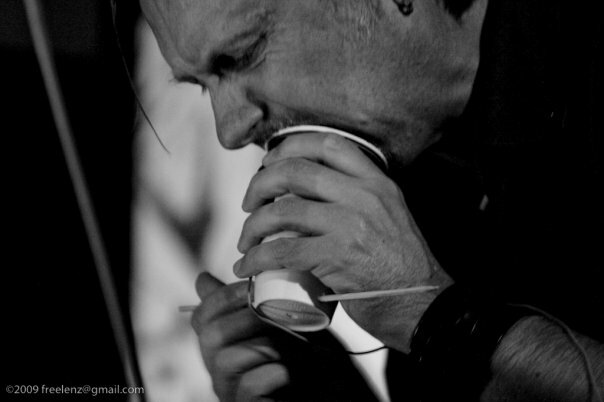 A sample of stills from various iterations of The Terminal Quartet. Terminal Quartet V1. 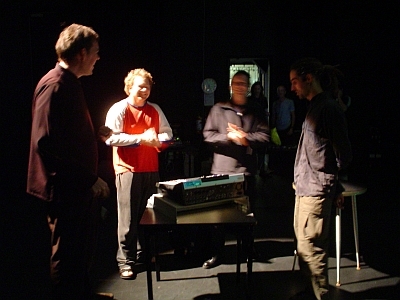 L-R: Steve Law and Jeremy Yuille, Andrew Garton and Paul Abad. Lambsgo Bar, Fitzroy, Melbourne, 18 December, 2003. 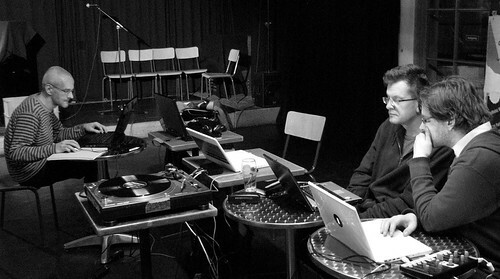 Terminal Quartet v2. 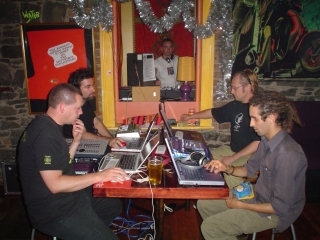 L – R: Andrew Kettle, Andy Bagley, Andrew Garton, Paul Abad. Small Black Box/Liquid Architecture, Judith Wright Arts Centre, Brisbane, Queensland, July 2004. 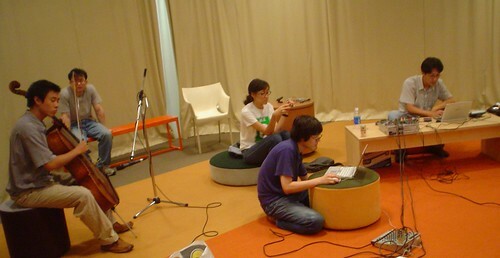 Syn-Urbania recording session, Seoul, August 2005. Josef ‘Seppo’ Gründler and Peter Venus. Stockwerk Jazz, Graz, 29 Jan 2009. Coding workshop with Ludwig Zeininger for Graz Stadt Drift, 29 Jan 2009. 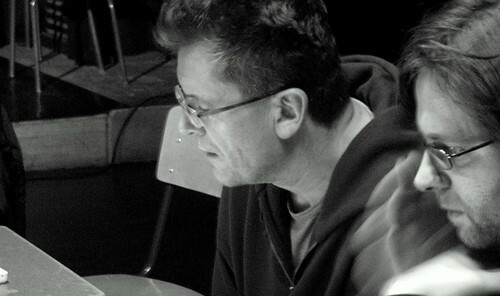 Andrew Garton performing with Benguela, Cape Town, 2009. 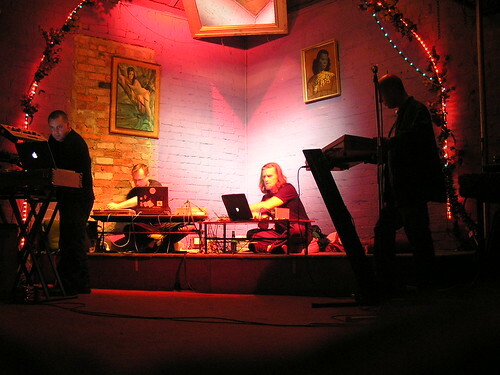 The concluding work of this performance was Homeworld Drift, based on Garton’s Drift Theory. 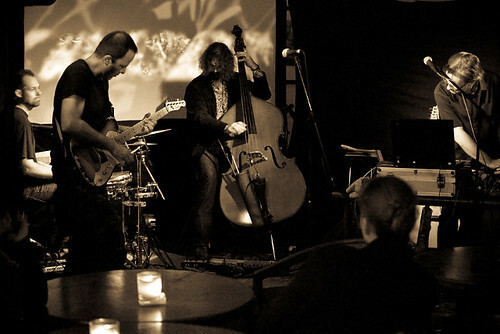 Performing with Benguela, Cape Town, 2009.